Hi my name is Thierry and Im the assistant manager in the Lumigraf Factory. 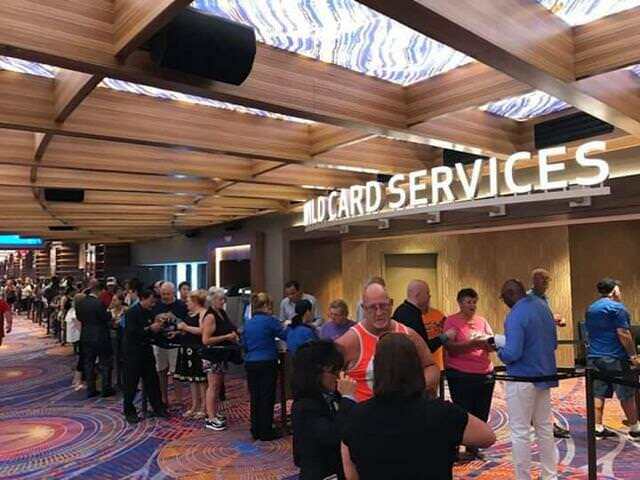 We are the manufacturer of the ceiling of faux onyx panels of the wild card services guichet in pictures in the hard rock casino in atlantic city, here the link of the panel patern from our website: https://lumigraf.ca/lumi-onyx/onyx/#gallery-4 . We want to know if its possible to get from you the original format of this picture : https://i.imgur.com/QmK6kto.jpg We are looking to have it in High resolution or as a panoramic shot. We will use it without the people in the picture to show the project result in our social media page, if you want to we can mention your name for the photo credit. If you are ok to send us the picture please forward it to sales@lumigraf.ca.